Within a conception of harnessing material, in this case the waste of vines from the Amazon forest, used for manufacturing traditional pieces in natural fiber, the Coringa table is part of the Complementos (Complements) line. Inspired by the first supporting tables for phones and catalogs, the Coringa table seeks to resolve its little supporting surface with the use of overlapping plans, optimizing the occupation area for the piece of furniture. 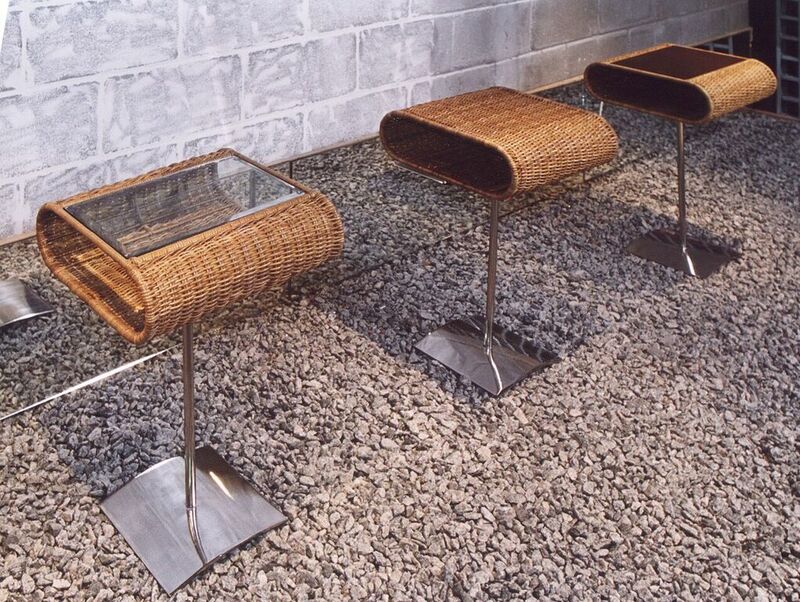 The piece comes in three versions, resulting from the combination obtained for the glass, wood or fiber top with its structure in natural fiber (vines from the Amazon forest) and bright steel. The base sturdiness ensures the slenderness of the support shaft of the higher element, and the bending of this base suggests a lightness of contact.